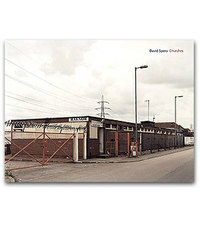 David Spero's new book Churches is my favourite photography book of the year. It documents an array of buildings currently used as churches, none of which was built for the purpose. Often temporary, semi-permanent or unconsecrated, the buildings are located where we would least expect to find them, in industrial estates, shopping parades, houses, garages, cinemas, above pubs and commercial properties. Spero finds a spirit (whether Holy or not is up to us) in the most unlikely places and even for a non-believer like me, there is something very moving about the places in which people can manage to find meaning. What really comes across is a sense of striving for spaces of community and support in the face of the displacements caused by modern urban existence. We're stocking the book in The School of Life on on our shelf 'for those with a God-shaped hole'. The twentieth century was an age of introspection, when psychoanalysis impelled us to search for who we are by looking inside our own heads. But the art of living involves escaping from the prison of our own feelings and desires, and embracing the lives of others. The twenty-first century should be the age of outrospection, where we discover ourselves by learning about other people, and finding out how they live, think and look at the world. 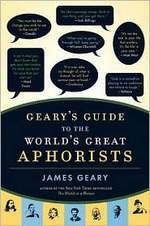 Empathy is at the heart of how to live and what to do, and is the ultimate art form for the age of outrospection. Roman's essay Empathy and the Art of Living can be downloaded here. Roman is teaching the Work course at The School of Life in September. 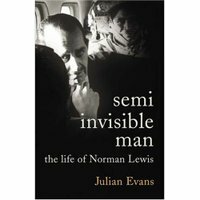 Our bibliotherapist Susan Elderkin recommends Semi-Invisible Man: The Life of Norman Lewis by Julian Evans if you are planning a holiday. "It's perfect for getting travel juices flowing. Lewis was quintessential traveller, voraciously hungry for new places, especially difficult and seedy places that others steered clear of but where he always found wondrous things." I like to read, me. If I don’t do it daily I get a rash and if I don’t go to a bookshop (usually a charity shop) every 48 hours I feel unsettled. 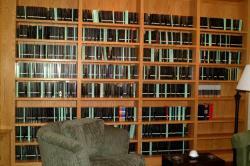 I have a lot of books on my shelves and I hope I will be able to read them all. I have calculated that I will be dead long before I succeed in so doing. It is not as if I have stopped collecting in order to read what I’ve got. I add to the collection every few days, transferring my allegiances from the last crush to the next pash in a coldly fickle moment. I would like to read all the books that I would like to read but I’d need a parallel life in which I simply circumambulated my capacious library whilst drinking real ale and swimming. 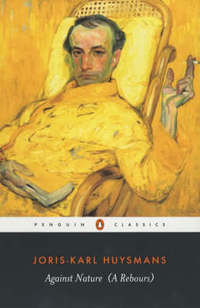 Thanks to the ever-rewarding Things Magazine I learn that Penguin have issued the Penguin Classics Library Complete Collection, comprising 1,082 titles and retailing at $13,315.84. With an Amazon discount of 40% this works out at a trifling $7,989.50. I am not remotely tempted. Were money no object I would not part with the requisite sum. Besides, I read at least seven of them at Uni. But as Completions go, this one is up there with The Assembled Nouvelle Vague, Its Antecedents, Its Tendencies and Its Divers Spawn, a 60 DVD set (I made that up). Certainly the owner of the Penguin set would never need to go out again. It would, on a personal level, be the End of History. Read David Gale's blog here. Lots of money and time to spare? 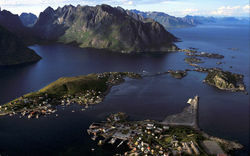 Head to the Lofoten Islands at the 67th and 68th degree parallels North of the Arctic Circle in Norway. The journey is something of a challenge but you'll make up time when you get there - the islands have nearly 24 hours of daylight at this time of year. No money but time to spare? Take advice from the 18th century French thinker and philosopher Xavier De Maistre who found himself confined to his room in 1790 when he was arrested after a duel. 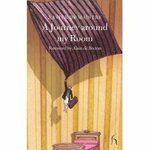 With only a butler and a dog for company, de Maistre managed to fill his time happily by embarking on a fantastical journey around his bedroom. 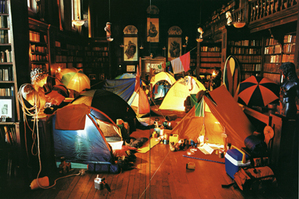 By treating his bed, his armchair, the artworks on the wall and his small library as major tourist sites, he reflected on their history, their importance to him, and the philosophical questions that they brought to mind. He imagined how he'd like to make love to all the women in the world, indeed to all the women who ever lived; playacted conversations with the illustrious dead, and even invited his readers to imagine sitting down to breakfast with him. No time off till September? 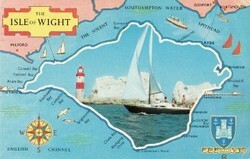 Wait a few weeks and then come on holiday with The School of Life. From 19-21 September, Martin Parr is leading a trip to the Isle of Wight to explore the vulgarity, nostalgia and brashness of British holidaymaking in its full glory. Find out more here. Mark, who is teaching the Love course at The School of Life in September, recommends Memoirs of Hadrian by Marguerite Yourcenar and a visit to the British Museum's summer exhibition Hadrian: Empire and Conflict. "Most exhibitions of the great from the past are full of re statues, coins, plinths and papyrus fragments that leave you interested but cold. The statues, coins, plinths and fragments here feel alive with the spirit of the great emperor himself. 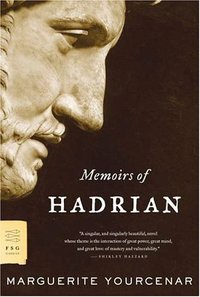 The sense of connection with Hadrian deepens when you hear that one of his first acts as emperor was to withdraw from an unwinnable conflict in what is now Iraq." Read more on Mark's Philosophy and Life blog. For a long time now, philosophers have liked to remind us that our apparently selfless and altruistic behaviour is not quite as pure as we might think. When we go on an Alpine walk and remark how sweet the cows look, we aren’t displaying a touching enthusiasm for animals, in Friedrich Nietzsche’s analysis, we are expressing our triumph over the defeat of another animal species. When we worry that a friend who is late might have been killed in a car crash, we aren’t really concerned for their road safety, for Sigmund Freud we are avenging ourselves for being delayed by entertaining murderous fantasies. 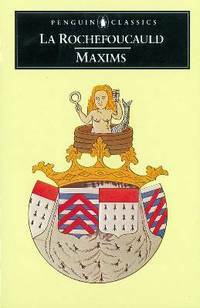 Though we might believe that this kind of cynicism about human nature is modern, it really has its origins in a slim 17th century volume that Voltaire said was the book that had most powerfully shaped the character of the French people, giving them a taste for psychological reflection and precision: La Rochefoucauld’s Maxims. Behind almost every one of these maxims, there lies a challenge to an ordinary, flattering view of ourselves. La Rochefoucauld repeatedly reveals the debt that nice behaviour owes to its evil shadow. He shows that we are never far from being vain, arrogant, selfish and petty – and in fact, never nearer than when we trust in our own goodness. For example, we might believe that we’re kind to be concerned about the worries of our friends. Nothing of the sort, mocks La Rochefoucauld, writing a century before the Germans had even thought up the notion of Schadenfreude: ‘Nous avons tous assez de force pour supporter les maux d’autrui.’ The real challenge, he might have added, is to find enough strength to endure others when they have the temerity to succeed. La Rochefoucauld was writing in order to hold up a mirror to his own age, but unwittingly, he speaks for others down the centuries, and perhaps never more clearly than to our own time, because what La Rochefoucauld hates above all is sentimentality, and there are perhaps few more sentimental periods than our own. That’s why the maxim of his that is most quoted concerns romantic love. It seems almost designed to shock us away from our taste in emotional melodrama, Hollywood films and saccharine pop music: Il y a des gens qui n’auraient jamais ete amoureux s’ils n’avaient jamais entendu parler de l’amour. La Rochefoucauld is modern in another way: he recognises the importance of writing his truths in a way that will help them to stick in the mind, in beautifully balanced phrases. If most philosophers feel no need to write like this, it is because they trust that, so long as an argument is logical, the style in which it is presented to the reader will not determine its effectiveness. La Rochefoucauld believed in a different picture of the mind. Arguments are like eels: however logical, they may slip from the mind's weak grasp unless fixed there by beautiful sentences. The fact that his maxims continue to surprise us and shock us means that we do not accept – on a daily basis – the wisdom they contain. We keep thinking that we are better than we are. It’s La Rochefoucauld’s achievement to remind us of our difficult reality in a way that leaves us curiously satisfied. To read him is like sucking the juice from the bitterest lime, and enjoying it. Alain is leading a holiday to Heathrow airport with The School of Life and giving a sermon on pessimism in January 2009. 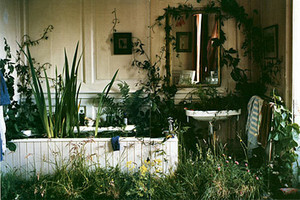 Do see Tim Walker's exhibition at the Design Museum. This is outrageously imaginative stuff: lavish, absurd, fabulous images often based on the stories Tim read as a kid. Camping indoors, gardening in the bath, pink elephants, giant swans, ice-creams galore, a bit of Cecil Beaton, a lot of Lewis Carroll. You want to climb into these make-believe sets and just play. This is the extraordinary mural Charlotte Mann has drawn throughout the teaching space at The School of Life. If you visit our shop, just ask and we'll take you downstairs to see it.